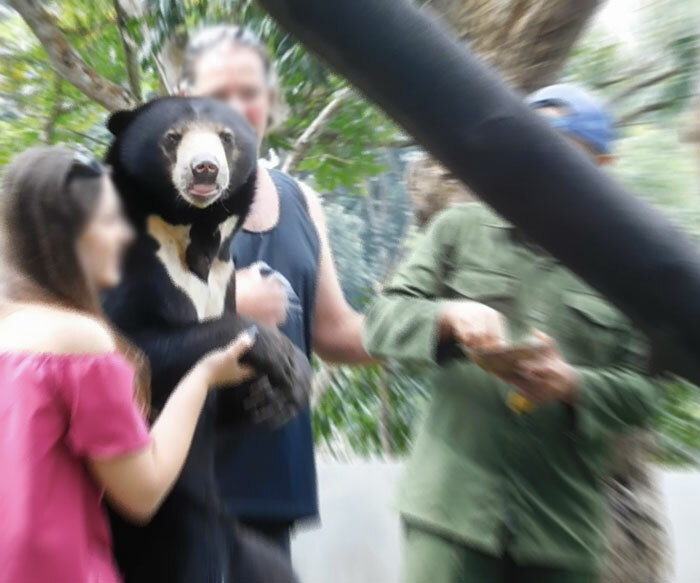 Animals Asia applauds TripAdvisor for ending ticket sales to cruel wild animal shows and attractions. Yet trip providers who profit from the exploitation of wild animals are still using TripAdvisor to promote that very same cruelty. Elephants in the wild do not allow people to ride them. Under the constant threat of violence and pain, keepers use ‘bullhooks’ – heavy metal rods with a sharp hook at the end – to force elephants to comply and accept rides. When elephant babies are stolen from their wild families, they soon learn to obey the commands of their captors, or else face the cruel consequences. As the world’s premier travel site, TripAdvisor’s continued promotion of facilities offering animal attractions like elephant rides and wild animal selfies is unacceptable. It helps unscrupulous traders profit from cruelty, and misleads people into believing that wild animal interactions are just ‘harmless fun’. Urge Trip Advisor to STOP promoting cruelty to animals! 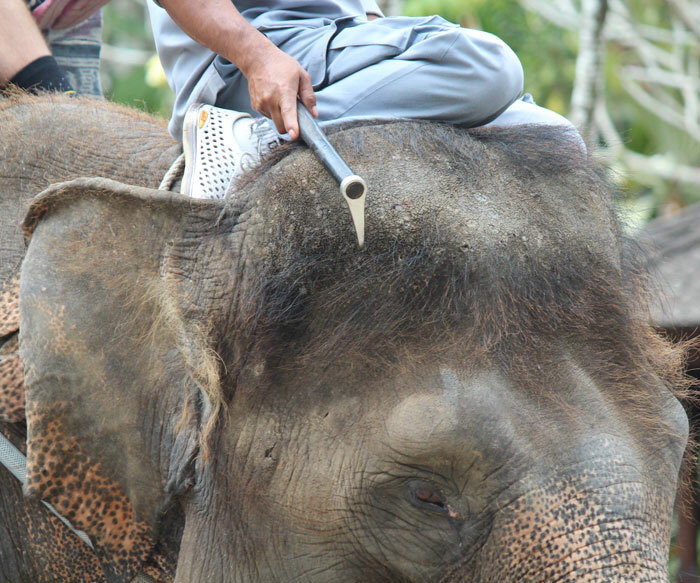 We, the undersigned, call on TripAdvisor to extend its animal welfare policy to ban the promotion of the very same cruelty which prompted it to ban ticket sales to wild animal attractions like elephant rides. 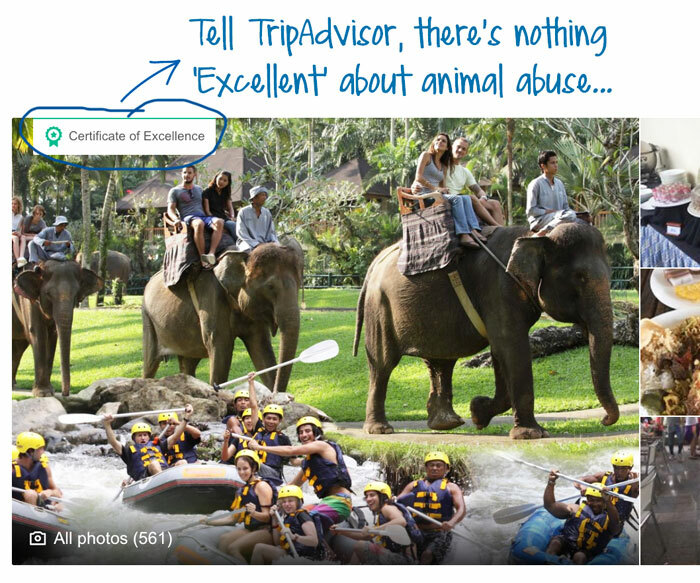 By allowing trip providers to promote this cruelty on their profile pages, TripAdvisor continues to facilitate the exploitation of many thousands of wild captive animals in Asia and elsewhere.